Located in the heart of Northern Suburbs, this aparthotel is within 2 mi (3 km) of Bridge Road, Swinburne University of Technology, and Abbotsford Convent. Church Street and Chapel Street are also within 3 mi (5 km). Hawthorn Station is 25 minutes by foot and Glenferrie Station is 28 minutes. Situated in Northern Suburbs, this apartment building is within 2 mi (3 km) of Bridge Road, Swinburne University of Technology, and Abbotsford Convent. Church Street and Chapel Street are also within 3 mi (5 km). Hawthorn Station is 25 minutes by foot and Glenferrie Station is 27 minutes. Situated in Northern Suburbs, this hotel is 1.2 mi (2 km) from Swinburne University of Technology and within 3 mi (5 km) of Bridge Road and Church Street. Abbotsford Convent and Toorak Road are also within 3 mi (5 km). Glenferrie Station is 21 minutes by foot and Auburn Station is 28 minutes. 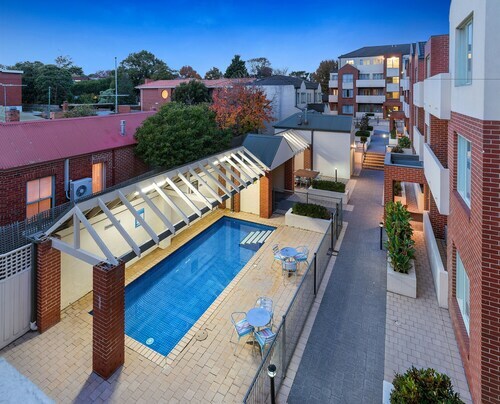 Situated in a shopping district, this apartment building is within 3 mi (5 km) of Bridge Road, Swinburne University of Technology, and Church Street. Abbotsford Convent is 2 mi (3.2 km) away. Hawthorn Station is 28 minutes by foot and Glenferrie Station is 29 minutes. 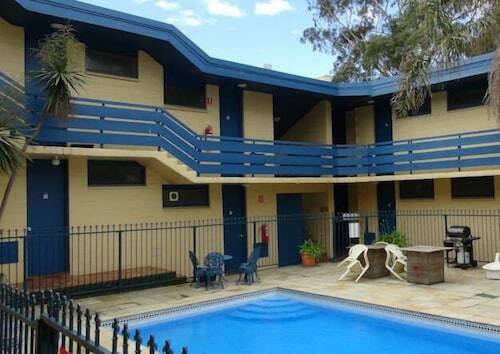 Situated in Kew, this motel is 2 mi (3.2 km) from Swinburne University of Technology and 3 mi (4.9 km) from Bridge Road. Melbourne Cricket Ground and Rod Laver Arena are also within 6 mi (10 km). Camberwell Station is 24 minutes by foot and East Camberwell Station is 25 minutes. Going to Melbourne? Why not escape the busy CBD for one of the city’s ritzier areas? At just 6kms from the heart of town, Kew is close enough for you to jump on a tram and go exploring while also being comfortably out-of-the-way. Its leafy residential streets are lined with mansions, including ‘Raheen’ – a 19th century fort-style estate where Archbishop Daniel Mannix once lived. For a pleasant getaway among the tree-lined streets and parklands, book one of our Kew hotels and save! Feel like shopping or sampling a local restaurant? It’s a long way to walk, but you can drive or catch a tram down Burke Road. Down the Camberwell end of the street is Camberwell Shopping Centre, a collection of more than 400 shops spread across Burke Road and The Junction. At 260 hectares, Yarra Bend Park is the biggest area of natural bushland left in Melbourne. The city’s famous Yarra River flows through it and the views include woodlands, parklands, river and sometimes the Dandenongs. If you feel like teeing off, Yarra Bend Golf Course is part of the park too! Pay a visit and you’ll see why this tranquil piece of nature attracts about 1.5 million visitors a year. But that’s not the only spot of lush greenery in Kew. Let your dog (and your family) off the leash at Victoria Park, which has a sports ground, play equipment and BBQ facilities perfect for a family sausage sizzle at dusk. Of course, the city of Melbourne hardly needs any introduction. From its laneways to its libraries, its art galleries to its parks, Victoria’s capital is a liveable city that offers plenty of day and night activities. The shopping is limitless, from Burke Street Mall to the Queen Victoria Market. 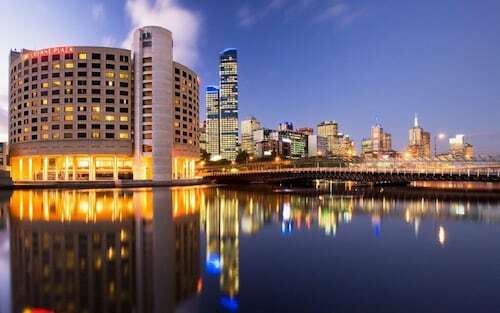 The dining and nightlife both have something for everyone, and the city is filled with popular attractions like the Princess Theatre, the MCG, Luna Park, the Melbourne Museum and Royal Botanic Gardens. If you’ve been meaning to discover Melbourne for a while, then this is your Kew. Book from our range of Kew accommodation and live the high life! How Much is a Hotel Room in Kew? Hotels in Kew start at AU$105 per night. Prices and availability subject to change. Additional terms may apply.